I describe a simple direct conversion receiver, thinked for QRSS and DFCW communications, as companion of ARGO or SPECTRAN programs. The receiver is useful also as portable receiver, fast turn-on receiver for a quick look an the band or as very low cost (and performances) spectrum analyzer. 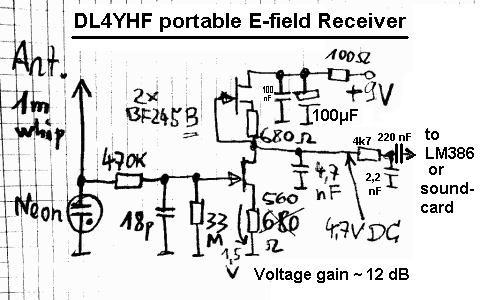 Omdat mijn HF-transceiver (30kHz. 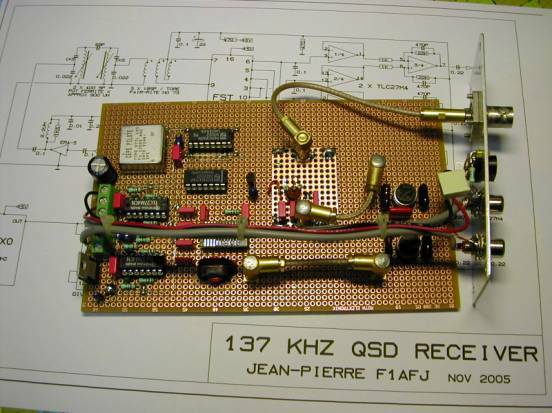 - 30MHz.) op de nieuwe 136 kHz. banderg ongevoelig is, heb ik een converter gebouwd dat met een locale X-tal oscillator op 10.000 MHz. omhoog mengt naar 10.136 MHz. I don't like knobs, pushbuttons, blinking leds and so on whistles and bells on the receivers front panels. For digital modes the ideal receiver must be very simple, front end selectivity, manually adjustable gain, IF filter. All the goodies you can find on the HF receivers can be done by software. QSD c’est quoi ? : Quadrature Sample Detector ( voir le schéma pour le principe de fonctionement ) Ce détecteur a été inventé il y a seulement quelques années par un radioamateur américain, Dave Tayloe N7VE. 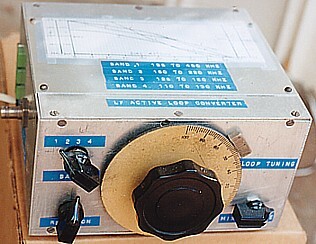 In the converter which is described, a loop antenna is used as the only tuned inductive element with positive feedback applied to increase its effective Q and sharpen up its tuning. This of course is the old trick called reaction or regeneration used in the early days of TRF receivers to improve selectivity. 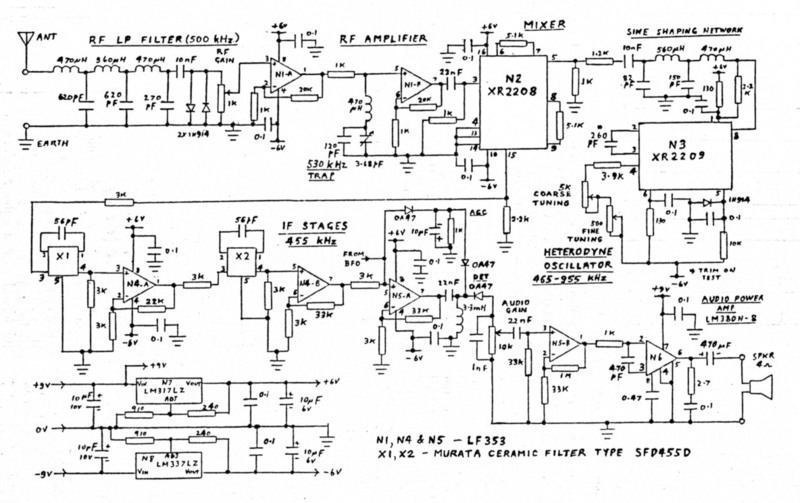 This article describes a "software" receiver that uses a simple, low cost hardware downconverter in conjunction with sound-card software such as DL4YHF's "Spectrum Lab" or I2PHD's "SDRadio", which act as a tunable DSP-IF system. The receiver design is a little different from the usual form. 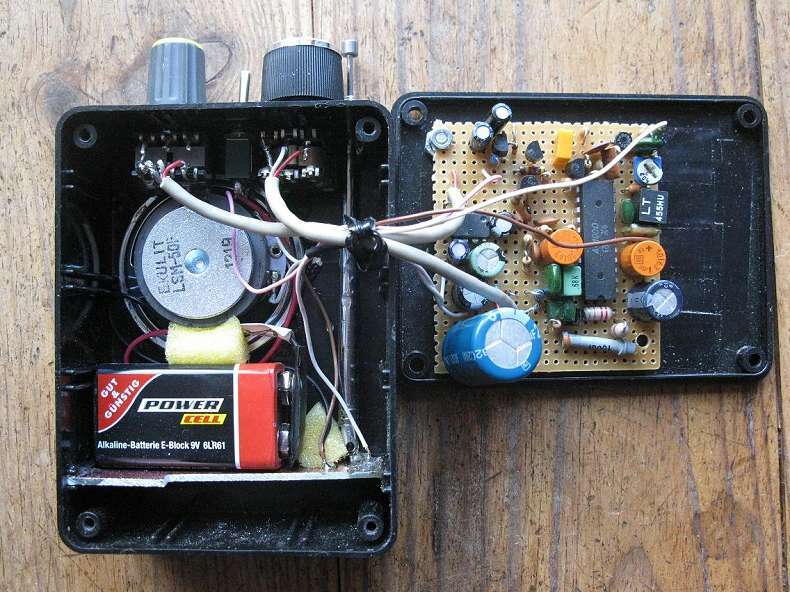 It has no variable capacitors or inductors except for one preset trimmer in a trap circuit. 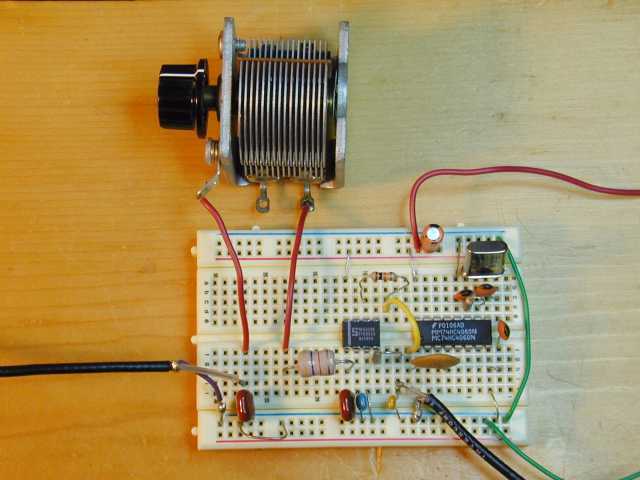 Tuning is carried out by a potentiometer, the resistance of which sets the frequency of the heterodyne oscillator. This converter is one of my early projects. 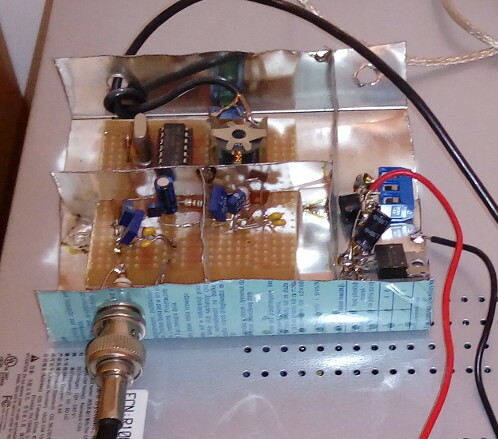 It is built using "ugly style" in a small metallic case usingBNC for in- and output connection including some internal shielding of the crystal oscillator. Dieser Converter stammt von der Homepage http://www.radiosky.com ab.Ich habe dazu ein Layout für ein OM aus unserem OV gemacht, dass ich auch hier zur Verfügung stellen möchte.